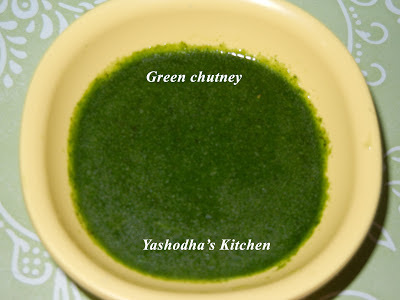 Green chutney is one of the best side dishes for chaat like bhel puri, pani puri, etc., in North India. Add all the ingredients together and grind well using mixie. Once chutney is smooth, remove it to a bowl or any container. 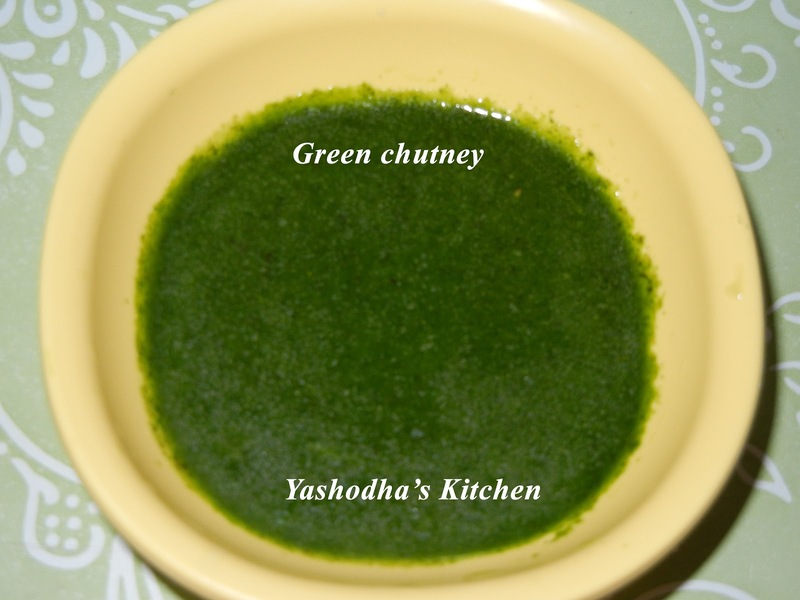 Green chutney is ready, serve it with any chaat. You can keep the remaining chutney in a air tight box and refrigerate for more than a week.